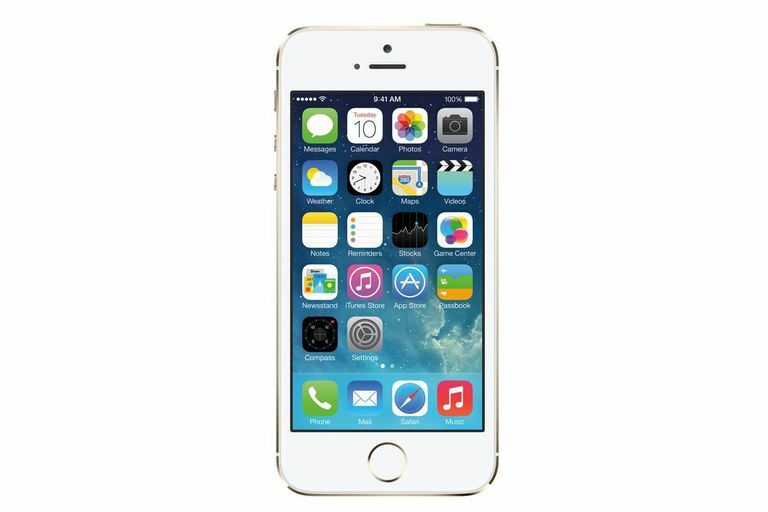 The iPhone 5S was Apple's top-of-the-line iPhone in 2013. It was also the last iPhone with a 4-inch screen, replaced by the iPhone 6 series, which offered a models with a 4.7- and 5.5-inch screen. The 5S broke slightly from that pattern by adding key features such as a 64-bit processor, an integrated fingerprint scanner, and a substantially upgraded camera. Apple A7 processor, which is the first 64-bit chip in a smartphone and faster than the A6 that powered the iPhone 5. The M7 motion co-processor, which captures data from motion, the accelerometer, the compass, and other sensors to enable new kinds of apps and features related to health and exercise. An upgraded camera that produces more realistic photos and can take slow-motion video. Touch ID fingerprint scanner built into Home button for use with security and instead of entering passwords. Other elements of the phone were the same as on the iPhone 5, including the 4-inch Retina Display screen, 4G LTE networking, 802.11n Wi-Fi, panoramic photos, and the Lightning connector. Standard iPhone features such as FaceTime, A-GPS, Bluetooth, and audio and video, were all present, too. A larger aperture and image sensor. Dual-flash LEDs for improved color fidelity. The camera takes multiple photos, analyzes them, and provides the one that's truest to life. Burst mode, up to 10 photos per second. Slow-motion video recording at 120 frames/second in 720p HD. Updated Camera and Photos apps. The phone was available in 100 countries by Dec. 2013. Starting with the iPhone 4S, Apple established a pattern of keeping its older models for sale, but at reduced prices. For instance, when the iPhone 5 was released the 4S and 4 were still available, for $99 and free (both with two-year contracts), respectively. Thanks to the release of the iPhone 5C at the same time as the 5S, that pattern has changed. At that time, the 8GB iPhone 4S was available for free when purchased with a two-year contract.